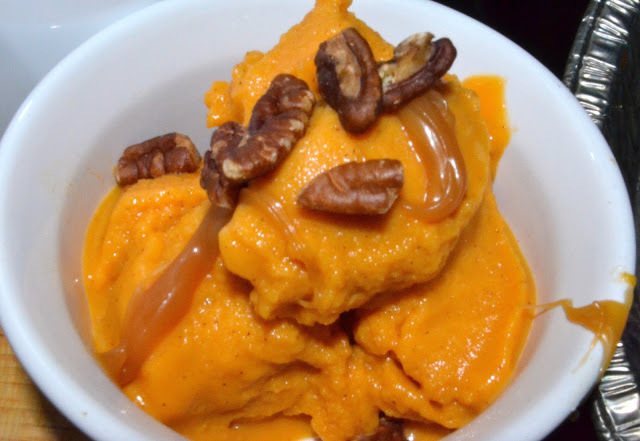 When the love of my life and I got married several years ago we had a wonderful sweet potato gelato as a course during our wedding dinner. 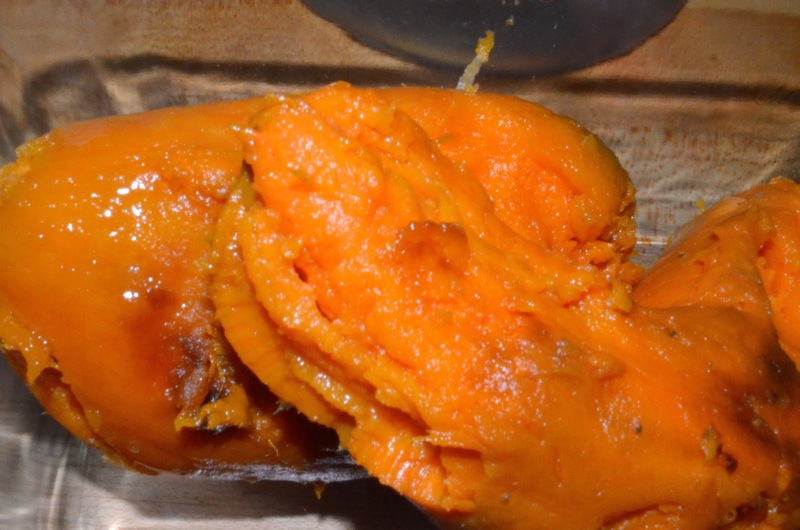 I've loved sweet potato gelato/ice cream ever since... I'm slowing but surely making life style changes every day like adding more veggies to my diet. So last night I decided to make an ice cream that was not as bad as most ice creams but as delicious. I didn't want to add eggs even though I hear that it could make it even more divine. I looked at several online recipes than decided to change them up a bit by adding maple syrup and far less sugar than recommeneded. Next time I plan to tweak my recipe by adding some medjool dates and a little less sugar. Add the blended sweet potatoes to a large bowl along with the milk of your choice, maple syrup, brown sugar, cinnamon, ground ginger, nutmeg, and salt. Whisk together until smooth. 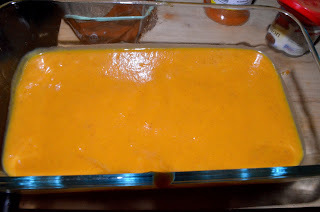 Cover with plastic wrap and chill the mixture thoroughly before churning. Make sure to freeze the ice cream insert for at least 24 hours before you need it. 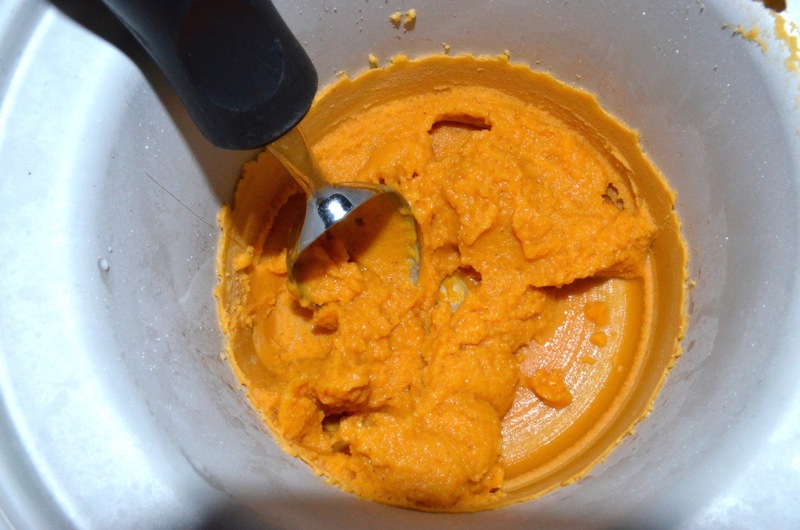 Churn in your ice cream machine until it freezes to a soft frozen state, about 20 to 25 minutes. Put in the freezer to continue to firm up until you are ready to serve. My husband and son devoured it so I guess it was pretty good! UPDATE: I added about 6 to 7 medjool pitted dates and that change the game completely. I know some people use medjool dates in place of eggs to bind ingredients well I figure it would make the ice cream better as well. Well it did....the ice cream came out super creamy! Also since medjool dates are sweet I only added 1 tablespoon of brown sugar. I like the idea that you used almond milk and it is a healthy treat. Gumbo I sent you a message on your Facebook page, check it out.